A real estate agent works for you to help make sure your property is sold in the best way possible and for the best price. If you have listed your property with a real estate agency, the agent works for you, the seller, so it’s important that you get on well. Before you start working with the agent, you must understand and sign an agency agreement that sets out the terms and conditions of the contract between you. We recommend you get a lawyer to check and explain the agency agreement before you sign it. You and your agent are legally obliged to share all relevant information with prospective buyers about the property, including any issues. If the property sells, you pay the agent a commission in return for their work. In New Zealand, most real estate agents work for a real estate agency. The agency will usually take care of every stage of the selling process in return for a fee (commission), when the property is sold. The fee is usually based on a percentage of the sale price. Choose a local agency and agent who knows your area and has experience selling properties in it. If you are selling an unusual or expensive property, you may want to choose a real estate agency that specialises in homes like yours. Before an agent starts to work on selling your property, you need to sign an agency agreement. If the agreement is with an agency, you can change the agent you work with from that agency during the selling process if you wish. Some agents work in partnership with another licensee or a team of other agents. Check whether the agent who has listed your property will be the one you will work with or whether a member of their team will be your point of contact. We recommend working with real estate agencies that use REA-approved standard clauses in their agency agreements. Ask your agent about these standard clauses before you sign. You can find out more about recommended standard clauses here. Visit different real estate agencies or get recommendations from friends or family. When you meet with agents, think about how you feel about them. Do you feel listened to? Are they helpful and professional? Check their website and make sure the agents have experience selling property like yours. Check other properties they have listed online. Some sellers visit open homes in their area to assess agents. Draw up a shortlist of two or three agents, and invite each to assess your property and say what it could sell for. The agents’ assessments will include a recommended method of sale and a marketing proposal. Even if you know the agent or a friend recommends them, check they’re licensed. It’s illegal to carry out real estate agency work in New Zealand without a licence. The Real Estate Authority (REA) has an online public register where you can check your agent holds a current licence and find out if they have had any recent complaints upheld against them. If you deal with an unlicensed person, the REA won’t be able to help you if things go wrong. Find an agent on the public register. Before an agent starts to work on selling your property, you need to sign an agency agreement. This is a legal contract that sets out, among other things, what they will do to sell your property and how much commission you will pay them if they are successful. REA publishes a guide about the agency agreement​​​​. We recommend reading the guide early in the selling process, before you sign any agreement with an agency. You should get your lawyer or conveyancer to check and explain the agency agreement before you sign it. Read more about understanding the agency agreement here. The agent has to give you a written estimate of your sale price. This must reflect market conditions and be supported by information about sales of similar properties. They should also visit the property to assess its condition. The agent must explain in writing how your property will be marketed and how much this will cost. They must make it clear what advertising they provide as part of their service and what you will need to pay for. Before you sign an agency agreement, the agent must provide written details of how the commission will be calculated and the conditions under which it must be paid. They must give you an estimated cost of their commission. The agent must explain the risk of paying two commissions. This is a risk if you enter into more than one agency agreement. They must explain to you when the agency agreement ends. They must give you a copy of the New Zealand Residential Property Agency Agreement Guide. They’ll also ask you to confirm in writing that you’ve received it. The agent must give you the opportunity to seek legal advice before signing the agency agreement. Making sure everything’s in order at this stage could save you problems later. Agents are not allowed to exert undue or unfair pressure on you and they must keep you updated about anything relevant to the sale of your property. If the agent, or someone they know, is interested in buying your property, they must declare a conflict of interest. In this situation, we recommend that you ask another agent to represent you. It’s important that you have someone independent working to sell your property, especially when you’re paying them to do it. 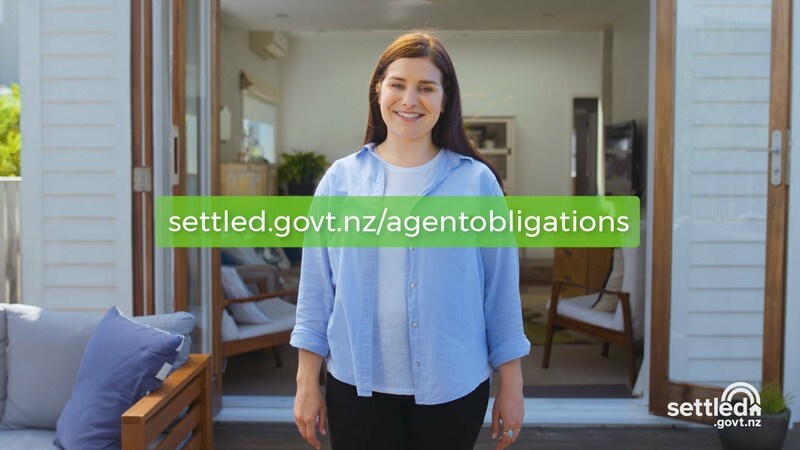 To help protect New Zealand’s reputation and economy from money laundering activity and financing terrorism activity, real estate agents must confirm your identity, including your date of birth, and know your address details before you sign an agency agreement with them. Even if you have been a client for a long time, the agency may need to ask you to confirm that you are who you say you are. You can read more about this here. If you knowingly fail to disclose any relevant information, you may be in breach of the terms of your agreement with the buyer. This means the sale could fall over or, in some situations, the buyer could take you to court. When the real estate agent is aware of an issue, they are bound by their Code of Conduct to disclose it to buyers. If you tell them about an issue to do with the property but ask them not to tell anyone, the agent is required to stop working for you. You pay the agent a commission fee if they sell your property. The amount of commission is usually a percentage of the sale price. Agents usually charge an administration fee of around $500, plus commission based on a percentage of the selling price. Usually the commission is tiered. For example, you might be charged 3% of the first $400,000 of the sale price plus 2% of the balance of the sale price. However, it does vary and is usually open to negotiation. Details are set out in the agency agreement. Before you sign up with a real estate agency make sure you get a clear statement from the agency about how their commission fee will be calculated, as well as an estimate of what the amount would be if the house sells at the appraised price. The fee is usually paid from the deposit the buyer pays to your agent when the sale and purchase agreement is signed. In addition to a commission fee, you often have to pay advertising costs before the agent starts marketing your property. Find out more marketing your property here. If you have signed an agreement with an agency, you can change the agent you work with from that agency during the selling process if you wish. Your agency agreement will contain information on how you or the agent can cancel it. If you do want to cancel your agency agreement, your lawyer can advise you on this. If the agent has already done work that helps to sell the property, you may still have to pay them a commission. If you sell to a person that the agent has introduced to the property, the agent is generally entitled to a commission.